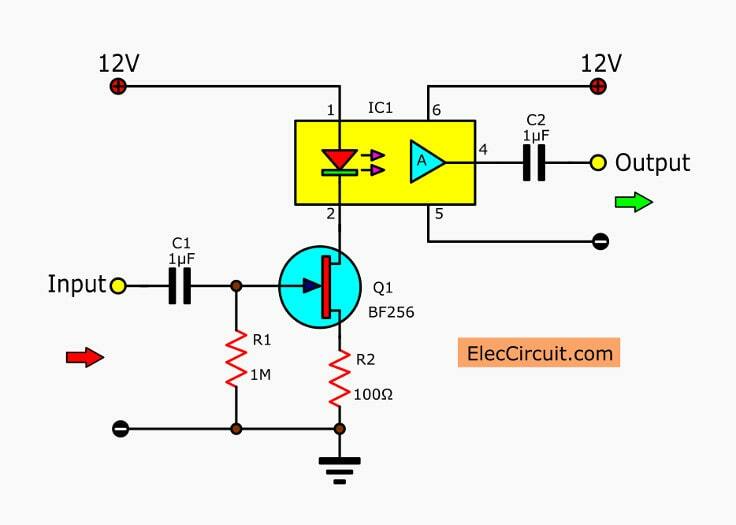 This is the linear opto isolator circuits that use a few parts and cheap. In circuit we use the opto compiler ICs number of MOC 5010 as a base. It can use it in many ways. For example, separate the circuit from the power line, send an audio signal, Electronic medical, etc. The resistance of the separation is very high so makes the MOC5010 is used to the circuit connector in-house. For example: the television receiver that the width of the frequency band from 5 Hz to 100KHz, So can connect audio signal very high. The working of MOC 5010, it will change current that move at input into the voltage as ratio of the input current. Firstly, the input voltage will be changed into a current. As circuit that shows in Figure 1. It includes of gain is 0.75 and maximum input of circuit is have 2 Vrms, and the wide frequency band of 118 KHz at -3 dB. The Mosfet -T1 change voltage to current, the Slope about 3-4 mA per voltage, and the idle current at drain-source lead about 10 mA. The amplifier A is the transmission of resistance about 200 mV per mA. Thus gain of the circuit will be 0.6 to 0.8 (-4.5 to -20 dB). The maximum output impedance of the amplifier is about 200 ohms. The external amplifier connects to pin 4 of ICs. When the input voltage is higher than 2 Vrms. 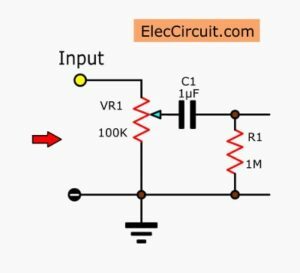 So should use the variable resistors that connect as the divider circuit as Figure 2. If the total gain too low, we need to use the transistor for working look like FET. 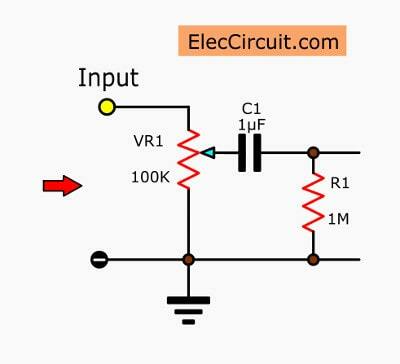 The importance of this circuit is to use a separate power supply. As well as the OV, it must be separated. The parts you will need. In sometimes we have to relay sound signal from the one circuit goes to again the one circuit. By the separation Ground depart may because of want the safety from the high voltage. From the one circuit flows to come Ground. 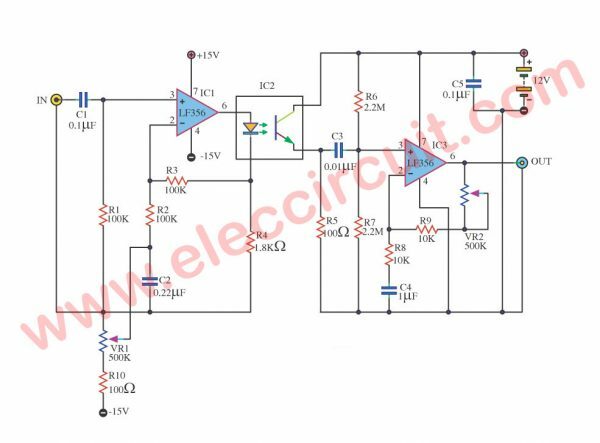 This circuit solves a problem by live opto copper meet sound frequency the crazy low about 1% this circuit also electric low many currents about 10mA only. Lead circuit this example goes to use such as apply to TV the past generation that has no transformer make extend a contract at the sound reaches power Amplifier outside can get into trouble. 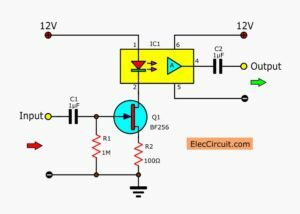 When using this circuit can separate power supply depart TV circuit get. For fining all detail please see in the circuit.